Mondays Motivation – Check your 1003! #MondaysMotivation – Check your 1003 for accuracy and these three things! Today I itemize the 1003 killers, that every LO should master. You know the old saying, garbage in, garbage out! Well if you take an accurate 1003 and address these three areas to be 100% half the issues most LO’s have will go away. I’m here helping 1003’s come to life and become funded loans! Got something that has fallen out of agency approval, or even non-agency? In need of a manual underwrite? While I ♥ a great approved/eligible loan, we do manuals to save the day often. CLICK HERE to get approved to start structuring loans with us! Two for Tuesday – Installment and Revolving accounts! #TwoforTuesday – So many people fall into this trap and attempt to qualify a client with 10 payments or less and omit that debt. Make sure you do make sure that the payment is 5% or less of the overall income of the borrower. If it is, and has 10 months or less that’s when you can omit that debt. Revolving accounts that are paid off monthly are also a good one, yes, you can omit those. As long as you can prove that every single month for the last 12 months the client paid off, completely. Still looking for a launch into the new year? I have some really good stuff going on behind the scene’s and am helping broker’s and LO’s get mega leads online for FREE! Yep FREE, while paying for ads is great, and where the “numbers” are, there is an art to this online stuff. If you have a poor organic campaign, and you attempt to run ads, well you better know stuff about optimization because your ad just might have limited results. You see this is taught in the marketing books, you should have an “push” and a “pull” campaign working hand in hand. When you do that results are inevitable. My suggestion – Get the #BLUEPRINT into action. 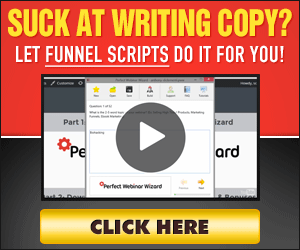 The BLUEPRINT to FREE Leads! #MondaysMotivation – Guides for LO’s all week this week. We will start with a simple cheat sheet for DTI on FHA loans. A great thing to know, and guide to basically live by. Too many times I see LO’s wasting time attempting to put a file together that is way out of the ball park. And DU confirms my thoughts and then they ask me to do a manual, I tell them the same “chart” I go over in today’s video and tell them to restructure. #SellWell – If you are a mortgage Broker and you’re not hooked up with me, let’s work together in 2018! Today I go over the guidelines for seasoning and waiting on BK’s, Foreclosures and SS! Know these waiting periods and what questions to ask your clients, it could save a headache later! Are you an LO and business is slow? Maybe your a Broker and do not have the support you wish you had on your files from your lenders. We can be the newest edition to your lender arsenal! I ♥ Wholesale Brokers! And I help others grow their business! Fill in below and let’s connect if you have any of these problems! Whacked Out Wednesday – Omitting payments 10 months or less. Two for Tuesday – New owner cash out guidelines! *Fannie Mae’s new cash out loan too! !